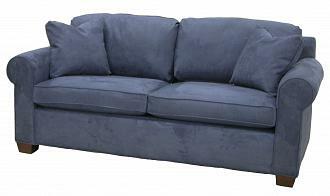 Harrison Full Sleeper Sofa. Design build your own custom American made full-size mattress sleeper sofa. Choose fabric, cushions, trim. Commercial grade sleeper mechanism paired withthick innerspring mattress or upgrade to an Air Dream or Air Dream Ultra mattress. Free shipping in-home delivery. Made in USA. Quality hardwood frame construction.